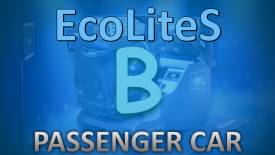 ECO-LITE S course is the most cheap way to learn driving. 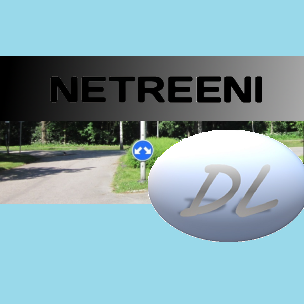 Course have 14 driving lessons and most of the lessons are with simulator. 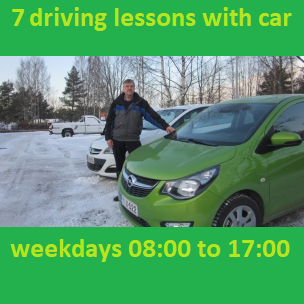 Driving lessons are on weekdays in day time, but you can buy lessons also in evenings and Saturdays. Also it is possible to change some lessons to drive with car instead of simulator with suitable price. You will get Ajokaista.com and DL e-BOOK with videos in English to study in home. You can start driving school when you are 16 years old. And it is possible to get the driving license when you are 18 years old. 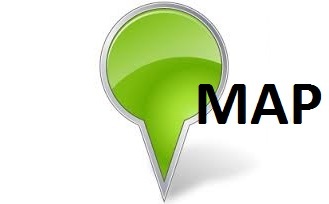 On a first lesson we will plan for you a training course. Also You learn how you can study in internet and we will make papers for You to get the driving license. 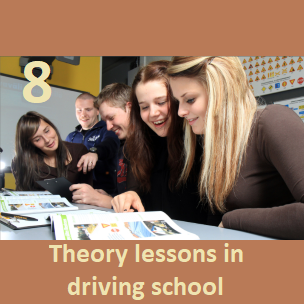 EAS theory lessons (traffic lessons) are mandatory for new drivers and include to driving course. On Risk awareness lessons you will learn driving in difficult conditions, possible risks in traffic, how to help in traffic accident, safety devices in car and ecologic driving. Theory lessons you can do in driving school. 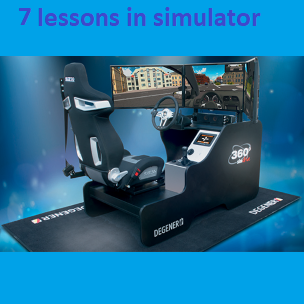 Most driving lessons are with two different simulator. DEGENER 360° -simulator we have with virtual VR glasses. You can do slippery training on slippery track with real car as an optinal training. With low price you can change some lessons to drive with car instead of the simulator after you have start. You can choose training car with manual transmission or automatic transmission. Driving lesson is 60 minutes and time for training is about 50 minutes. Driving lessons of ECO-LITE S course are normally on weekdays between 8am to 5pm. Last driving lessons start at 4pm. If you want to have lessons in evenings or Saturdays, you can get those for +4,00€/lesson. 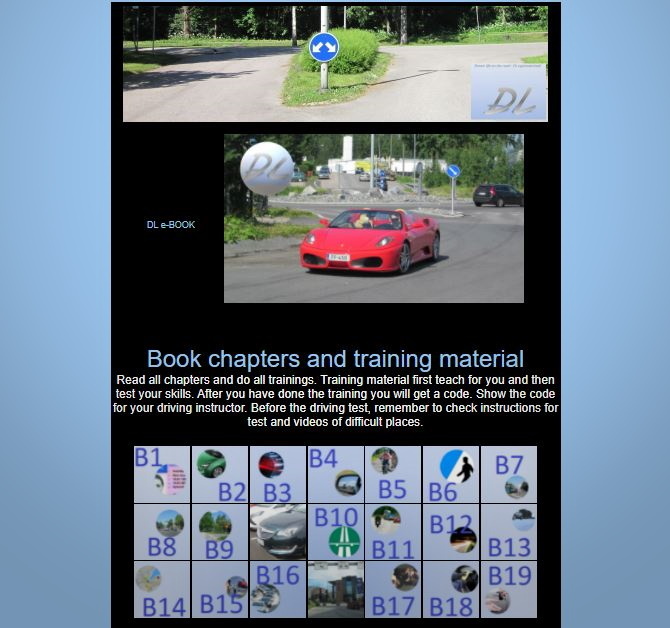 DL e-BOOK is excellent way for You to study driving skills, use of the car and traffic rules. You can read chapters, watch videos in English and do trainings. With Ajokaista you can study for theory test. It is similar as real theory test is. From Ajokaista you can also find a book in English to study. Use of car in driving exam include to course. You will do the exam with same car as you did your lessons. If you do the test with the automatic gear -car, you will get license to drive only with automatic gears (code in license 78). For passing the test easier you can buy extra lessons in cheap packet price. 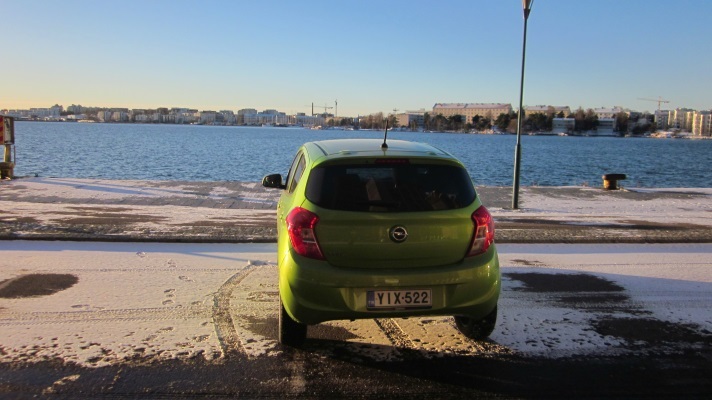 For example ECO-OPTIMUS6 include 6 driving lessons for 360€. One driving lesson is 69€. You don´t have to pay everything at once, we give invoices for you in parts (normally 3 parts). You can also pay in driving school with cash, Visa, Visa Electron and Mastercard. It´s also possible to get loan from Resurs Bank - Autokoulutili. Resurs Bank offer 30 - 60 days time to pay with out interest or any extra fee. You can also do training with automatic car. Ask more. Driving school training include VAT tax. For driving license you need 2 Passport photos.